Hello again friends! It feels like ages since I've posted...work has been stressing me out lately and I haven't had time to really sit down and write. But don't worry I'm trying my best to get out of this slump because I have a lot of great stuff to share with you all in the near future. Awhile back I reviewed a few of LynBDesigns polishes (post can be read here). Since then, Jenna has had some more awesome sales and Mir and I couldn't help ourselves to purchasing a few goodies. 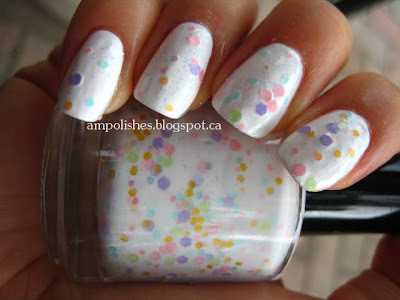 Oobleck is from the "Many Colors of Suess" collection and is so awesome when you look at it in the bottle. It's this bright pale green with green micro shimmer. In the sun it is simply beautiful! In my swatch I used OPI Gargantuan Green Grape as my base colour as oobleck is on the sheer side. 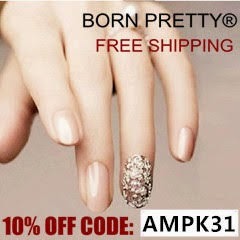 The formula was really great and the colour translated very well onto the nail. I believe I used two layers of Oobleck. 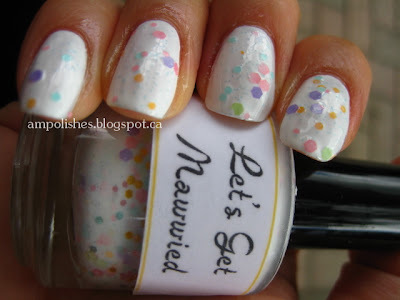 Lets Get Mawwied is from the "Dweam Wiffim A Dweam" collection and has mutlti coloured pastel glitters in a white base. I was a little disappointed with this one, I found the polish to be very gloppy and difficult to apply. Even with the help of polish thinner I had to do three layers to rid of the bald patches. 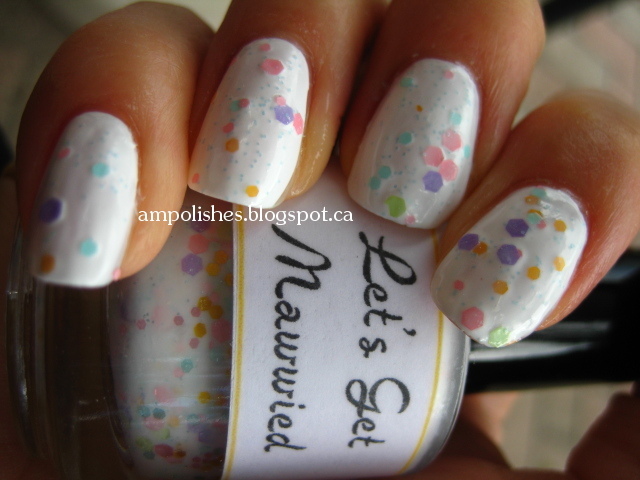 In the bottle the polish looked really cute and I was drawn in by the mix of the pastel glitters. It does take a bit of effort to apply but definitely worth it. Click to see the bonuses Jenna sent us! 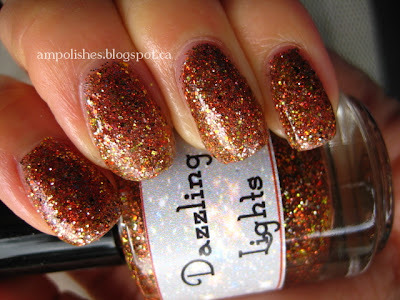 Dazzling Lights is from the "Fame" collection and is a polish packed with orange, yellow, gold and copper glitters. 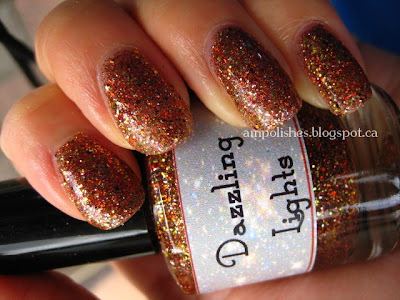 It is very glitter dense and opacity can be archived with only two coats! At first glance this colour reminded me of China Glaze Electrify, but when I looked closely at swatches I could tell Electrify was more yellow while Dazzling Lights was more orange/coppery. My swatches do it no justice because this polish is a stunner in the sun. These swatches were 3 coats, it was nice and even and not goopy at all! All of LynBDesigns full sized polishes are 15ml and are priced at $8 regularly. Quite often Jenna offers great promotions and coupon codes so be sure to follow her on Facebook to be updated with current specials or flash sales.